The Say: Attainable but not that exciting. 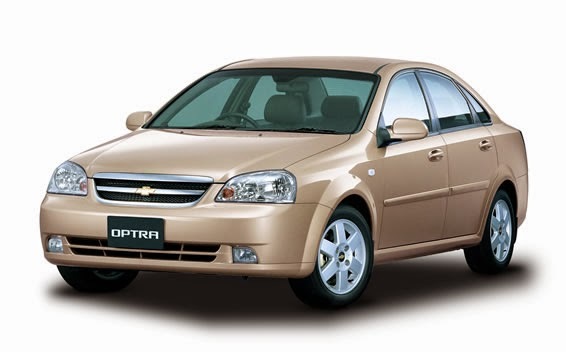 Conceived during the time before Daewoo (yup, it is sold as the Daewoo Lacetti in South Korea) was purchased by General Motors, the Chevrolet Optra is marketed by a myriad of names in different markets across the globe. Locally, it replaced the sold selling Chevrolet Cassia, which is basically a Suzuki Esteem sedan in other parts of the world. Majority of the sedan models sport a 1.6 engine but there's a 1.8 engine briefly sold from 2004 to 2005, with both engines are capable on their own feet although the 1.6 is noisy when on idle. Handling is balanced but lacks feedback and this one feels at home during highway drives. Going inside will reveal a cabin which fits four people comfortably but five is a squeeze plus a spacious trunk is a bonus. Good traits include numerous storage bins and controls that are within the reach of the driver. The basic model is the L which was introduced in January 2005 gets the 112hp 1.6 engine, all power amenities, trunk release, CD player, and alloy wheels (reverted to steel wheels in October 2006) with other features like alarm, keyless entry, immobilizer (added in October 2006), ABS brakes, driver airbag, and 60/40 fold rear seat (made standard in an October 2007 update) were added as standard equipment throughout selling life. Our pick is the LS that adds fog lamps and, for the first release models, equipment which were later added to the basic L plus for the final update, passenger airbag, auxiliary jack, and steering wheel audio controls. A limited edition SS introduced in October 2006 is basically a LS that adds body kits while the 1.8 LT gains leather seats and a 123hp 1.8 engine. Parts availability isn't a strength among Chevrolets, especially that this model will have you to wait for long if something goes wrong. Fuel consumption, for the first release models, is extremely poor which required the electronic control unit to be reprogrammed. Trouble parts for this vehicle include the alternator, transmission, and the fuel pump.